A talented girl is trying to find happiness amidst the Russian revolution of 1917 and the civil war that split the nation. Klavdia Vavilova, a Red Army cavalry commissar, is waylaid by an unexpected pregnancy. She stays with a Jewish family to give birth and is softened somewhat by the experience of family life. Kemel, a young recent school graduate, travels into an isolated part of the steppes to work in a small communal farm camp. 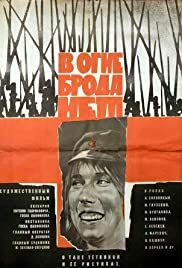 An intriguing film set during the October Revolution details events of a young nurse travelling on a hospital train tending wounded during the war. We follow her through a budding romance with a young soldier and her eventual discovery of her artistic skills through her association with a painter encountered on the train. Not a fast-moving film, but very interesting in the development of personal relationships and the impact of differing ideologies on them - but it's not boring!